With over 20 years of experience counseling and coaching individuals from diverse backgrounds, Deanne is uniquely positioned to help you get back on the path to success. Becoming fully present, which involves gaining an awareness of both your strengths and challenges, is Deanne’s specialty. With compassionate, yet direct feedback, Deanne gives constructive solutions to shift current patterns of thinking and improve the quality of decision making. After building a successful counseling practice, Deanne was drawn to coaching in order to reach a broader audience. She has found that working with people around their careers is a great access point to help them achieve their full potential. This is an exploration and discovery phase, and Deanne, through her extensive training in human behavior and neuropsychology, is the perfect guide. If you are at a career crossroads, Deanne will help you identify your talents and align your work with your values. Her coaching will also help strengthen your leadership skills by learning how to maximize your energy and focus, understand and relate to all types of people, stay cool and focused under pressure, and manage change and conflict more effectively. Work life balance may also be addressed if it is a challenge you are facing. 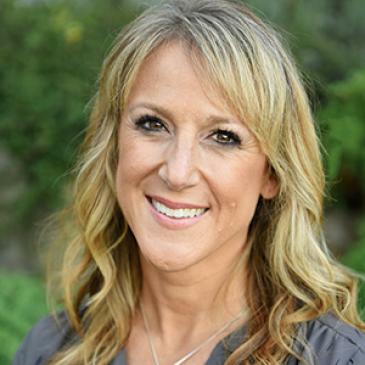 Deanne received her Bachelors of Science in Sociology from the University of Washington, Masters in Education from the University of Puget Sound, and her coaching certification through Brain Health Coaching. She is also a certified NeuroCoach and NeuroLeader, and she works with clients from a wide range of industries, including aerospace, healthcare and education. What drew you to coaching? While sitting in a staff meeting that was becoming unproductive, I watched a coach skillfully redirect the group, acknowledging everyone’s motivations while guiding us back to collaboration. With this approach, people felt respected and stayed engaged. I could see how the awareness of the personal agendas, perceptions, and different abilities, and how addressing those resulted in a more harmonious climate and productive outcome. This experience inspired me to facilitate the education of soft skills in the workplace, as well as add coaching in my work to improving interpersonal communication and life skills for individuals and organizations. As I watch lightbulbs go on, I see judgment and reactivity fade away. My experience as a family counselor shows how destructive those negative filters can be. It’s very exciting to work with a preventative model. Another influential experience was when I was introduced to personality assessments used by executive coaches in augmenting success strategies. I recognized it as the missing, non-threatening piece in other skills based methods for increasing awareness and self-management, and developing more attunement and responsiveness to others – the skills that leaders need to be successful. Using these coaching methods is so rewarding in helping my clients to become free from imposed limitations, leverage multiple perceptions, and productively capitalize on differences that have made beneficial changes in personal effectiveness and organizational culture. I’m fascinated by the nexus of neuroscience and human development. It’s no longer a metaphor to say we can rewire the brain to improve performance and have a different outlook. Coaching tools such as mindfulness meditation and Emotional Intelligence skills, combined with deep questioning can reroute neural pathways that then increase the ability to focus with a broader perspective, stay on track with clearer communications, connect with empathy for oneself and others, and shift from limited binary thinking to creative problem solving. I have been using brain-based methods for almost 20 years. Guiding clients into their personal flow state is another skill I use in coaching. Knowing that we can access resources far beyond mere acquired knowledge, I encourage clients to develop embodied cognition – experiencing life and making decisions through both intellect and reason as well as through their senses and emotional body. This flow state of peak creative performance is familiar to athletes and artists, and can be transformative for executives and teams as well. My coaching approach is to give clients the tools to have the satisfaction of working through a challenge and experience an intrinsic reward that is also good for their organization.